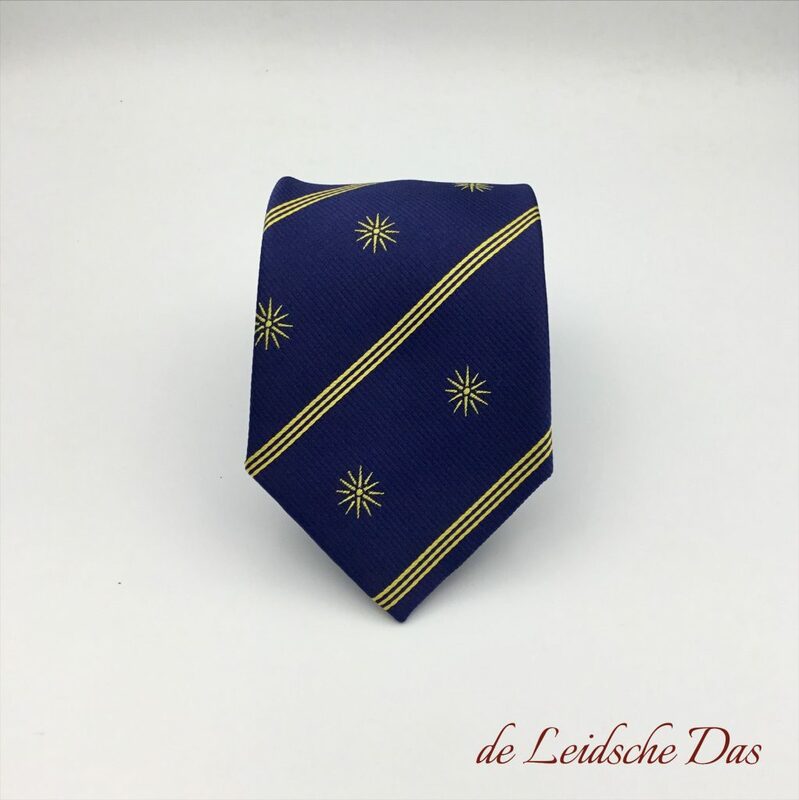 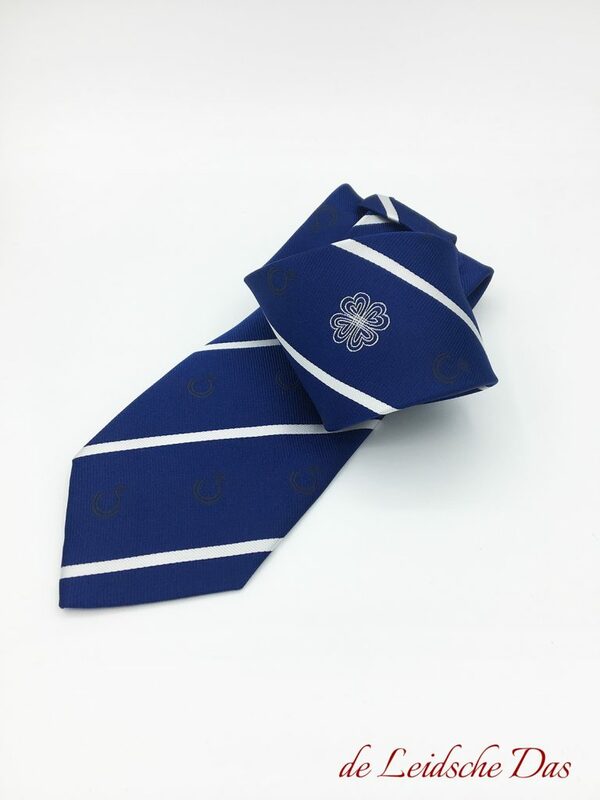 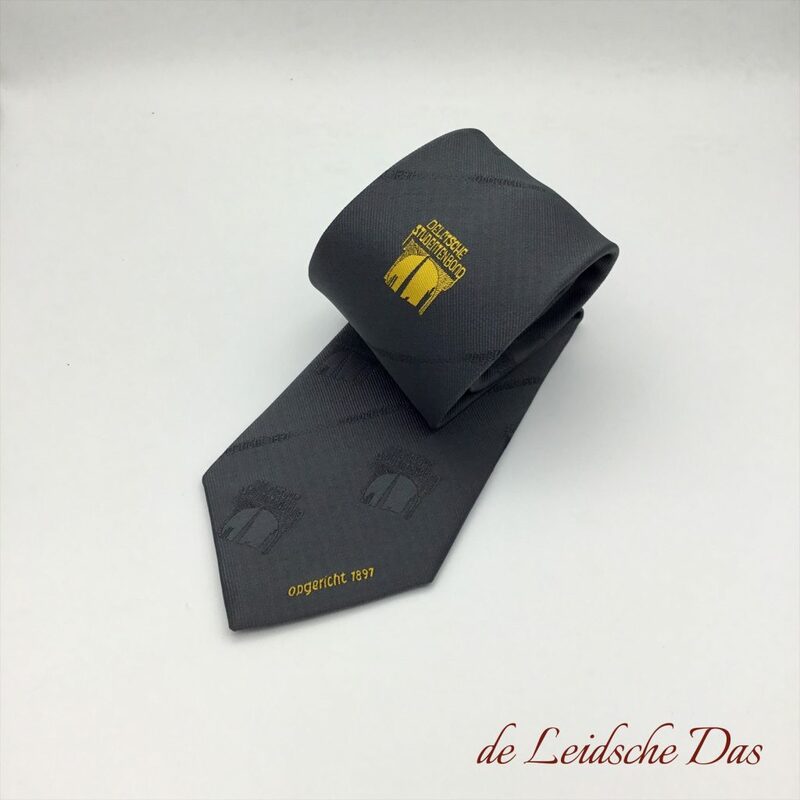 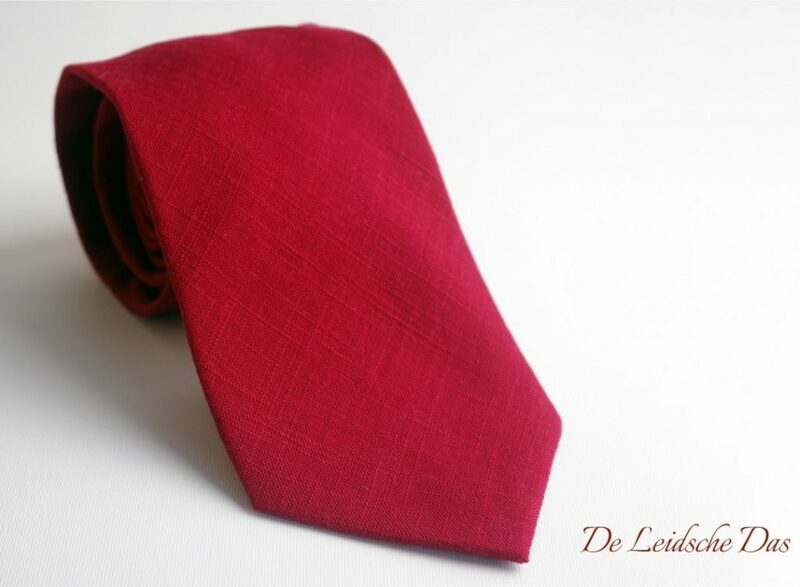 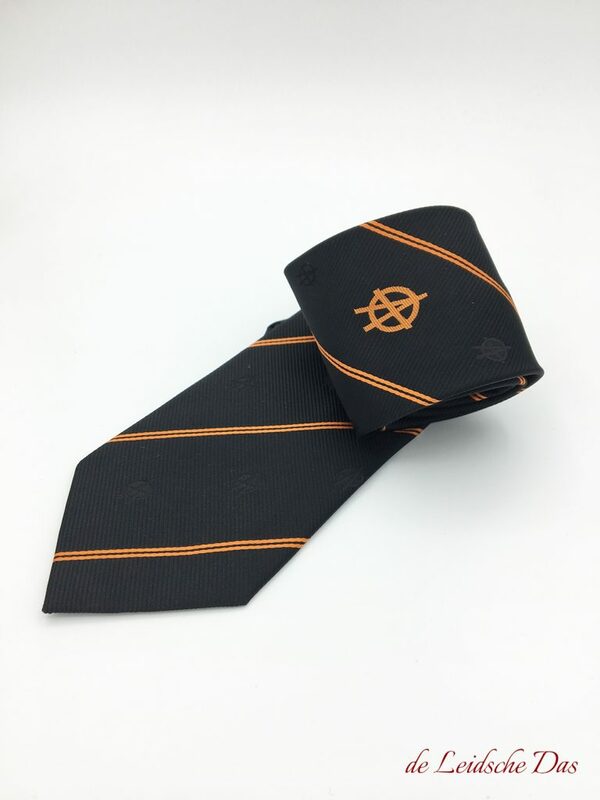 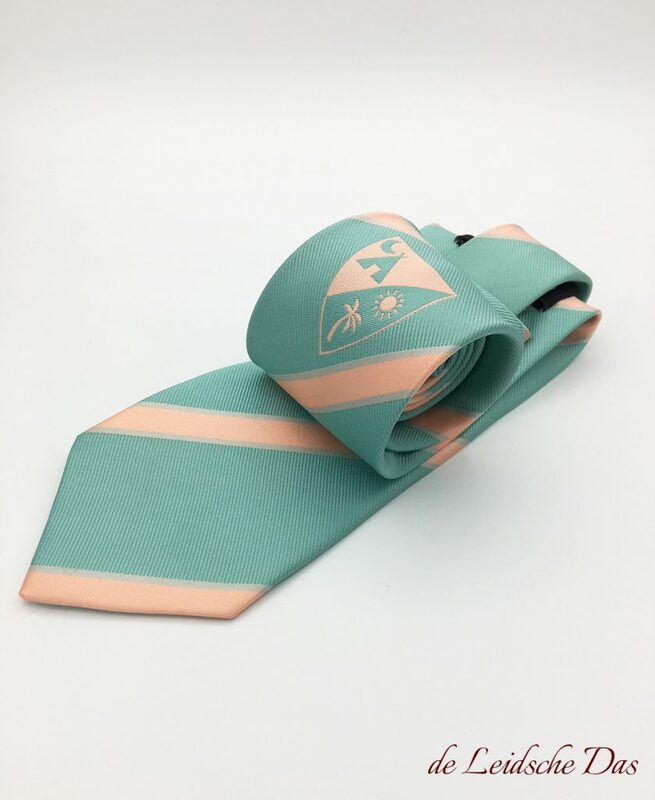 Custom made neckties with logo by the Leidsche Das. 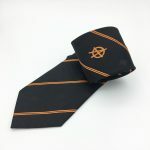 Custom woven handmade Neckties with Logo made to your own Design. 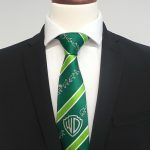 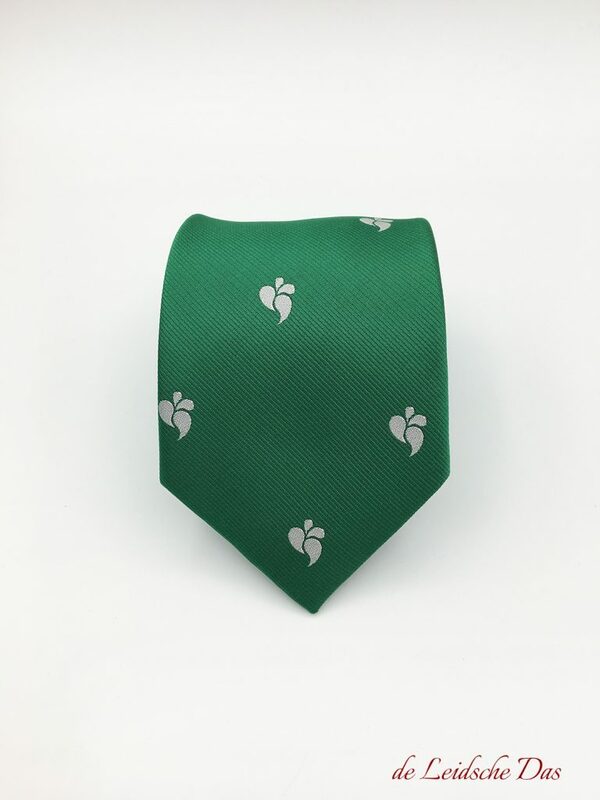 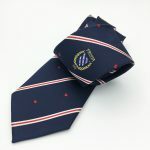 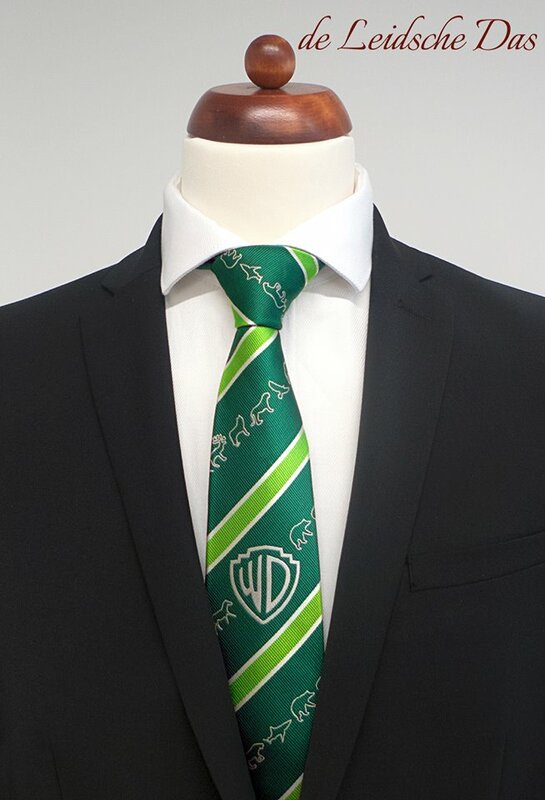 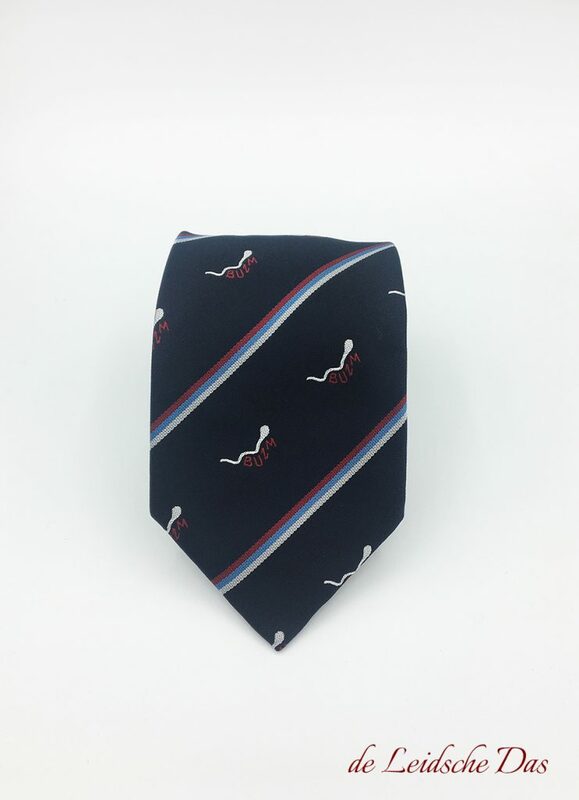 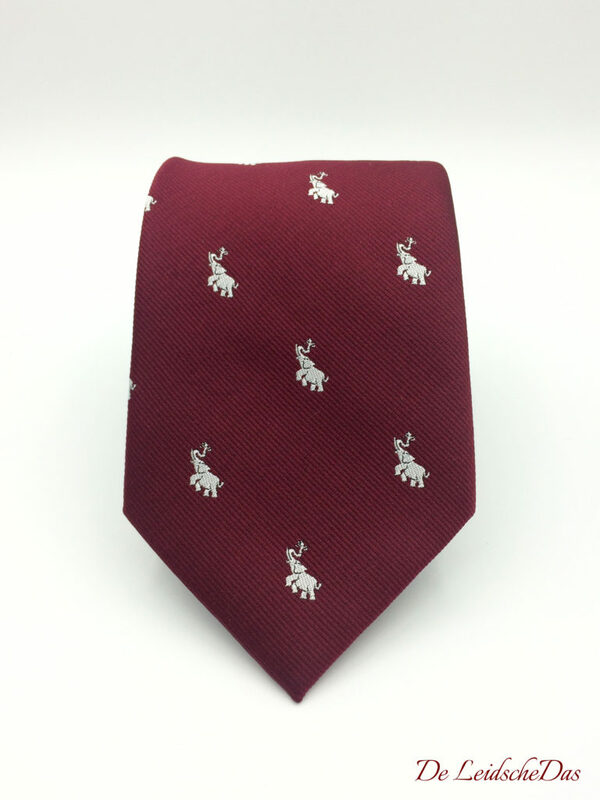 If you are looking for printed or embroidered neckties with logo then we have to disappoint you unfortunately! 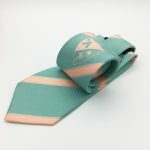 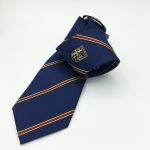 We prefer the quality of custom woven neckties and we do not wish to supply prefabricated neckties with an embroidered or printed logo to our customers. 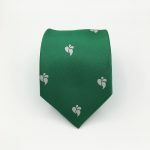 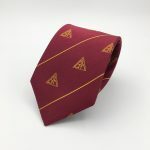 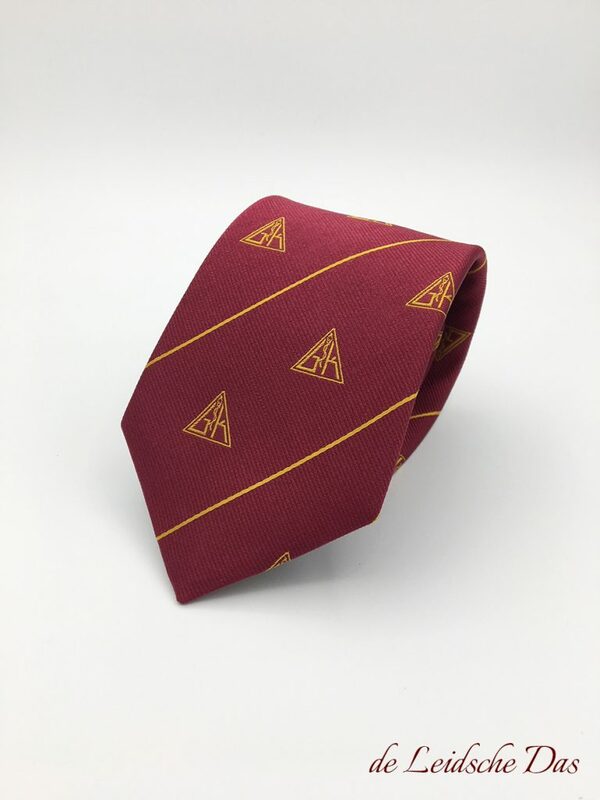 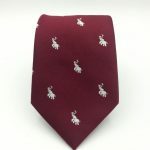 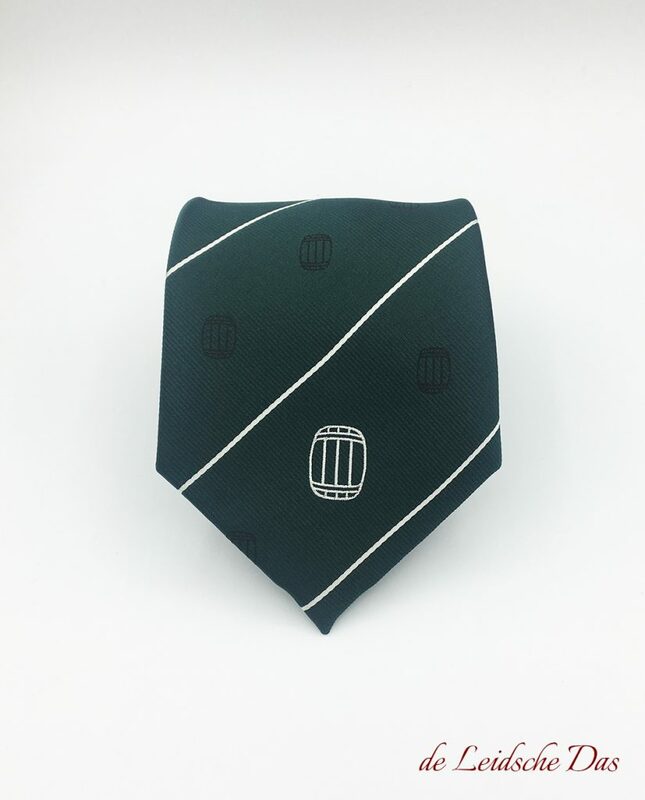 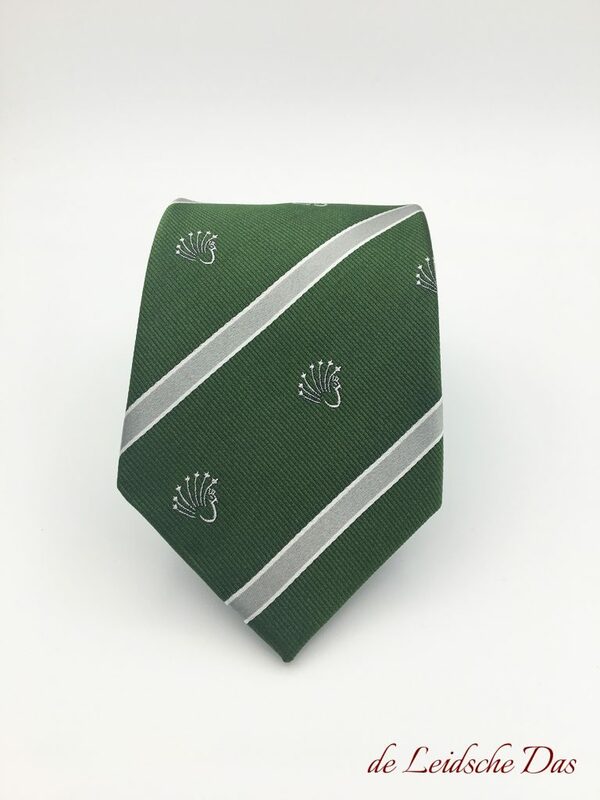 Aren’t custom woven neckties with logo much more expensive than printed or embroidered ties? 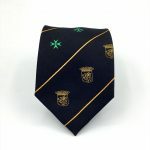 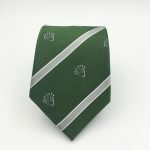 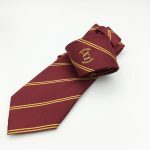 Compare our prices with the suppliers of printed or embroidered ties and the result will surprise you! 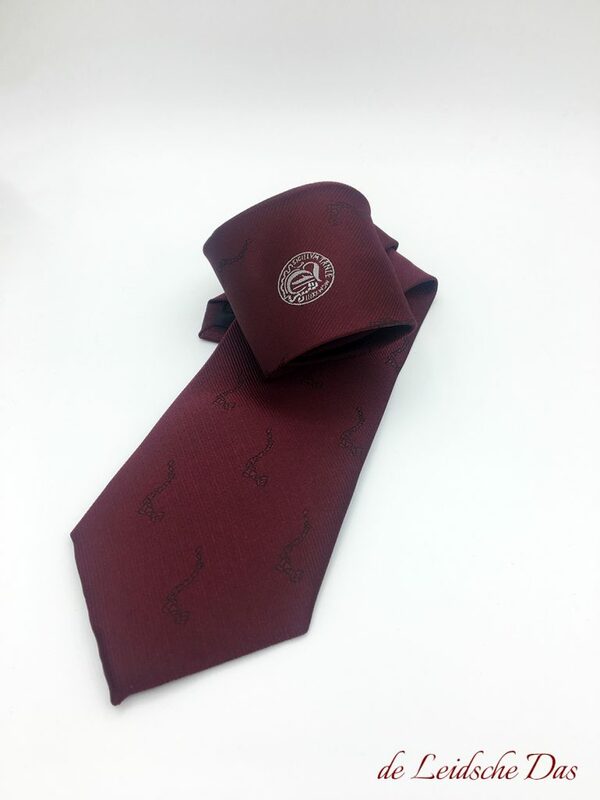 If you would like to have neckties designed and made, please contact our design department. 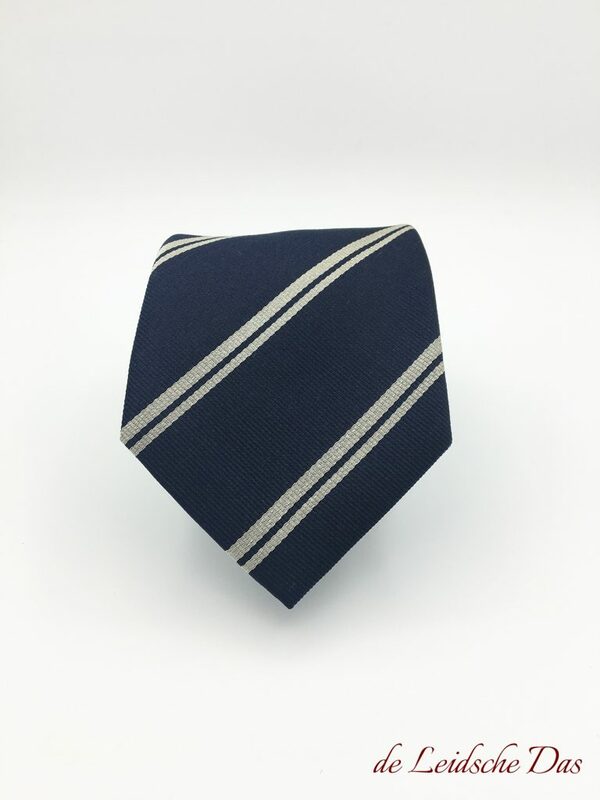 Our designers will be happy to help you create a necktie design that meets your expectations. 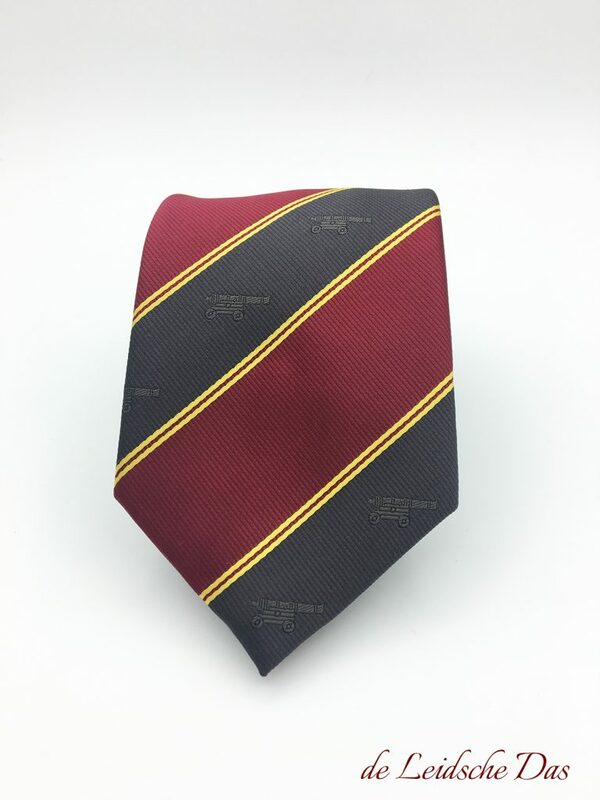 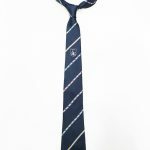 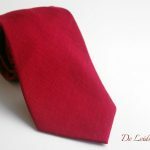 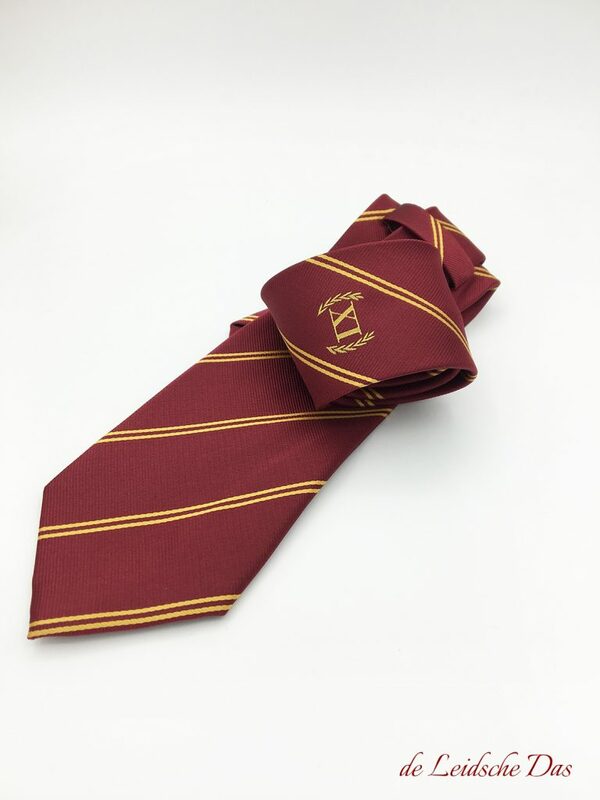 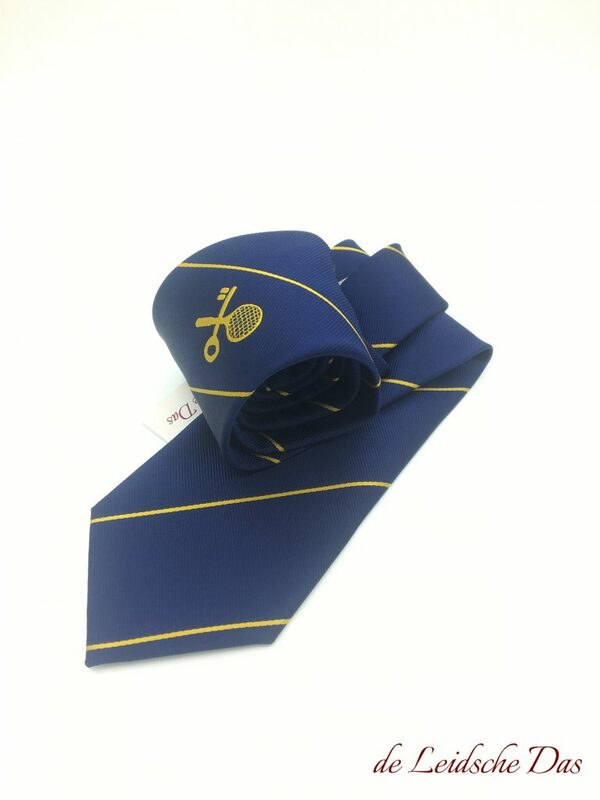 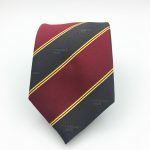 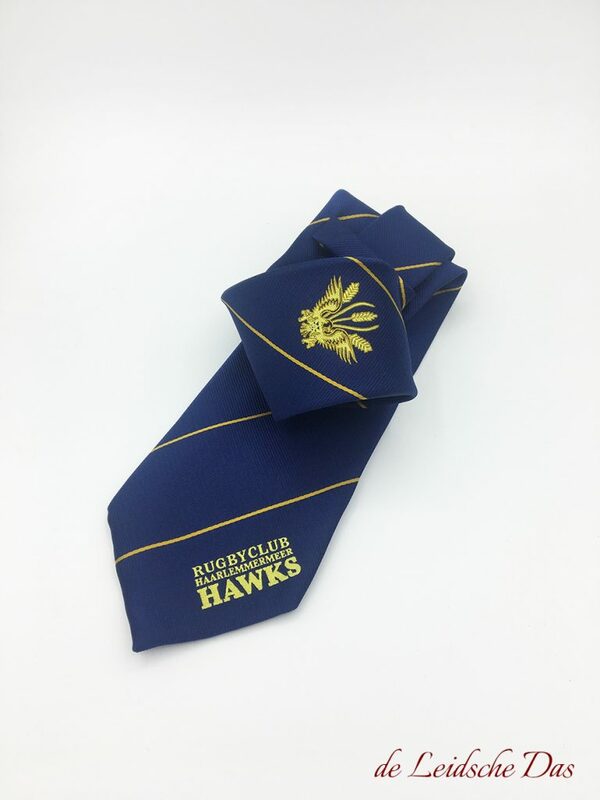 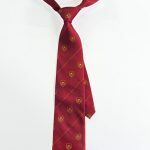 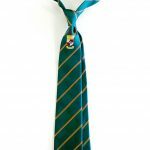 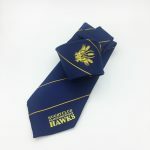 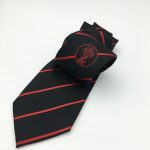 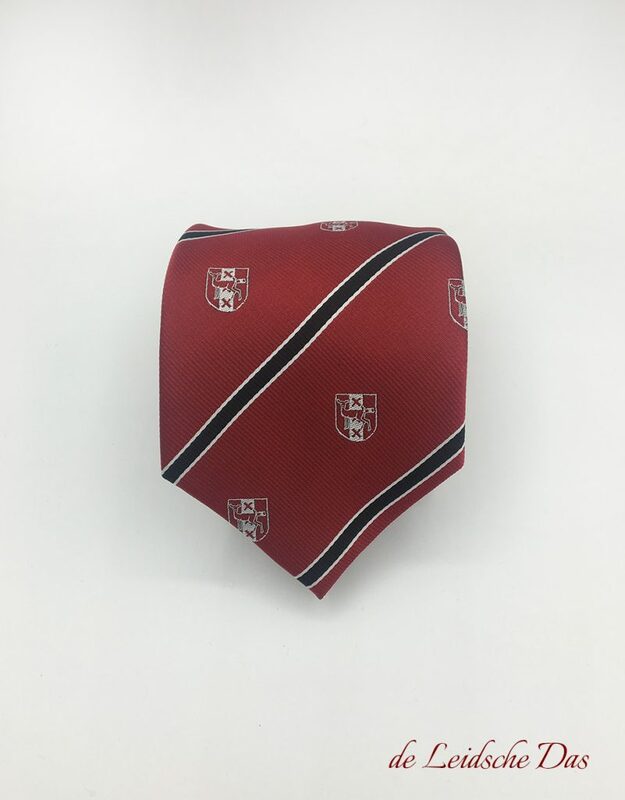 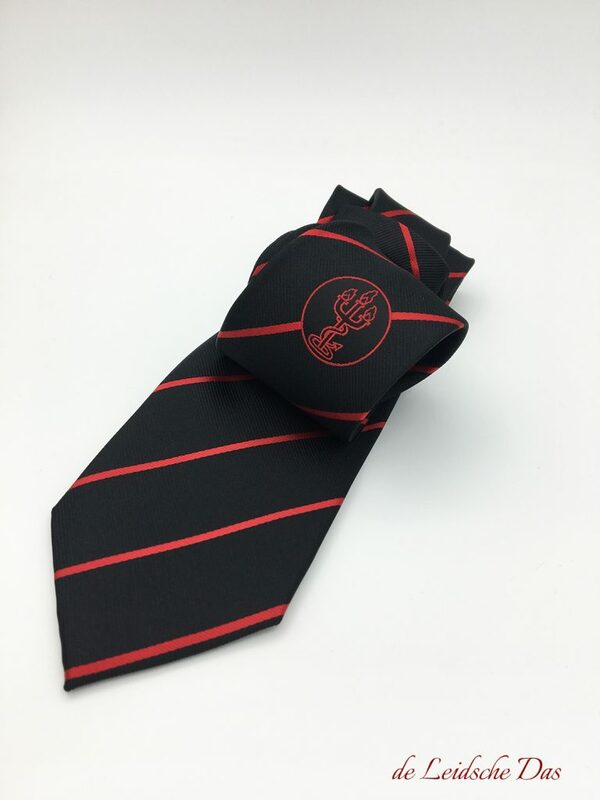 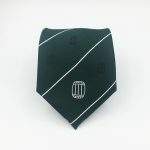 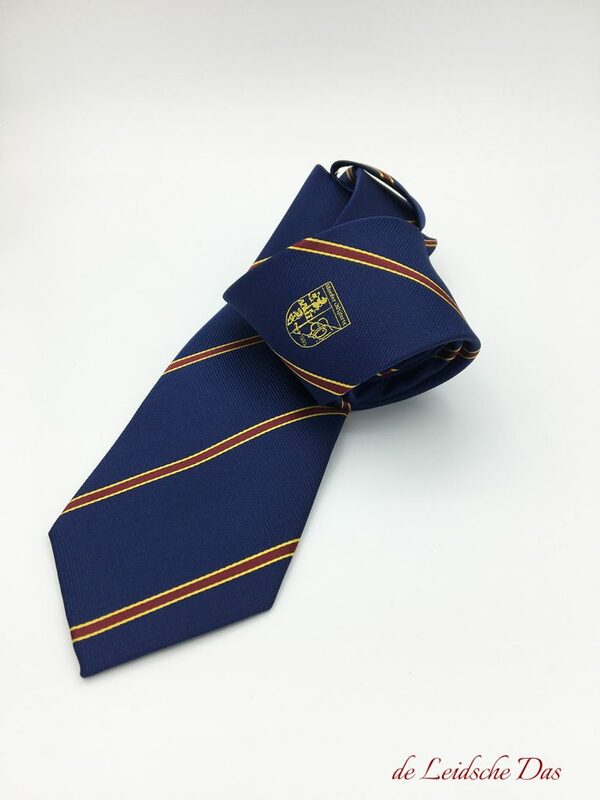 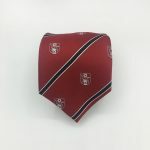 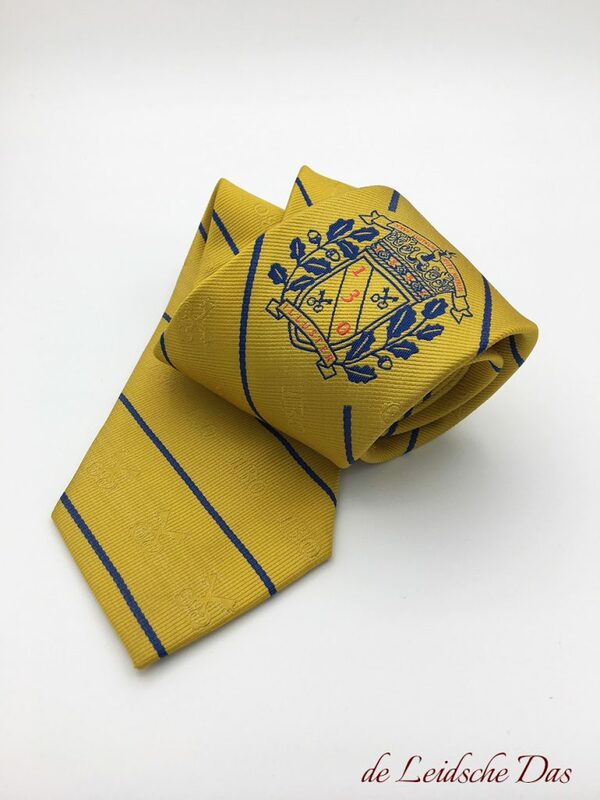 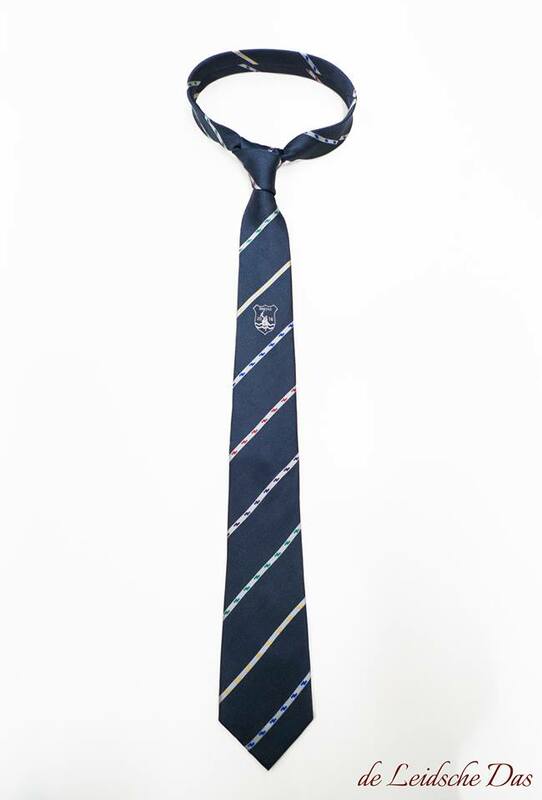 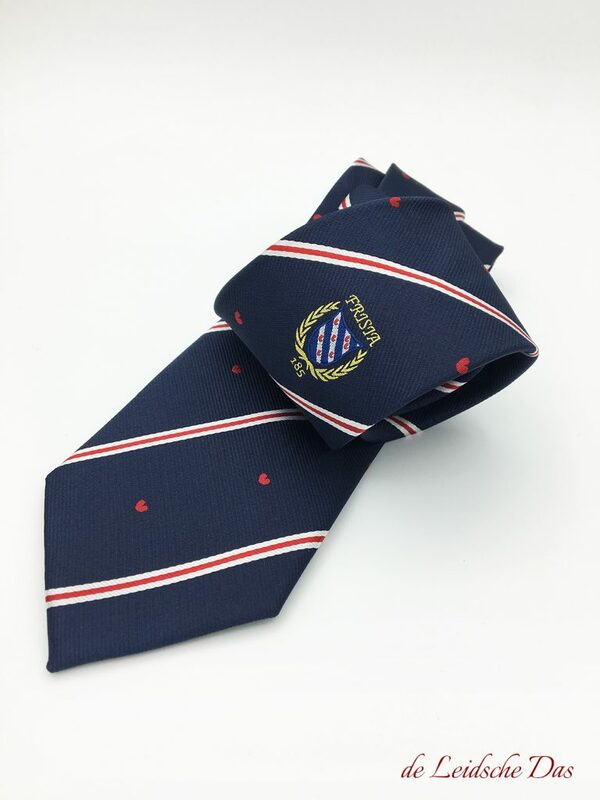 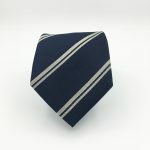 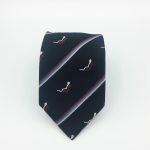 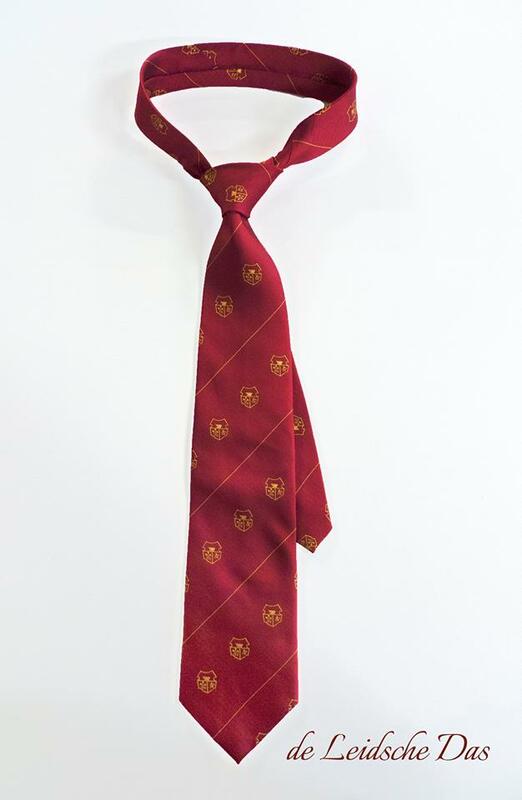 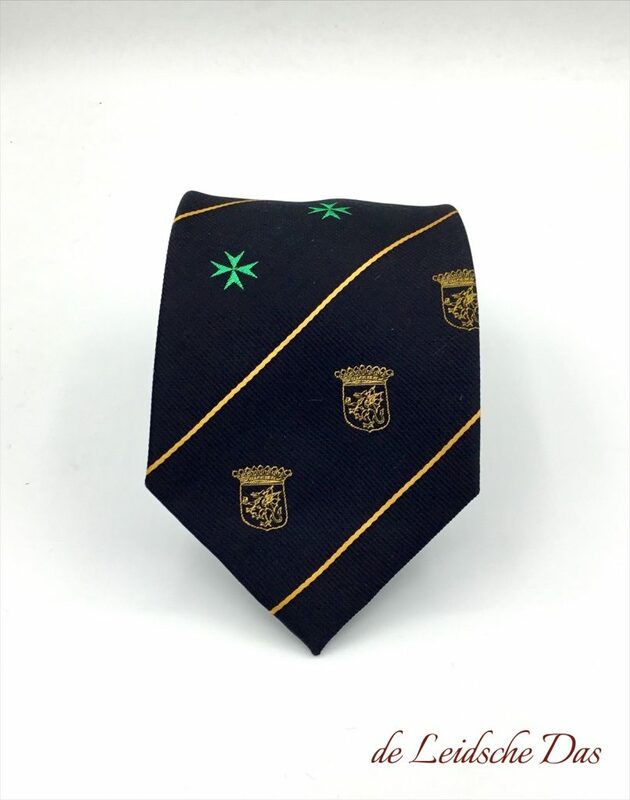 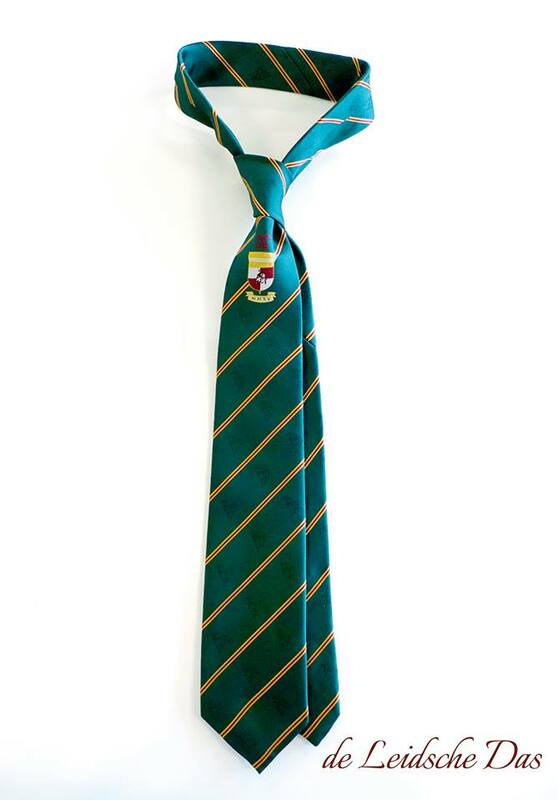 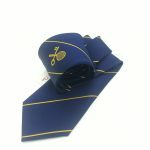 Our ties are known for their excellent quality and affordable price and we have designed and produced many ties for different categories of clients ranging from the army to a local sports club. Prices for custom made microfiber/polyester neckties with logo. 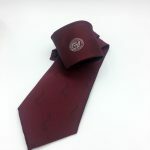 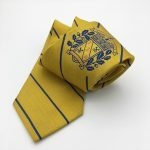 Prices for custom made silk neckties with logo. 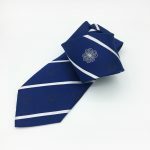 Production & delivery time for Custom woven neckties with logo.